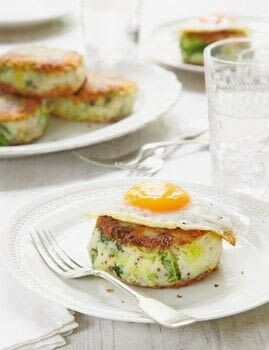 Makes 8 potato cakes prepare ahead can be made up to 2 days ahead and reheated in a hot oven to serve. if cooking for a large number of people, fry in the morning, arrange on a baking sheet and reheat in a hot oven when needed. freeze the potato cakes freeze well uncooked – layer between greaseproof paper and wrap well. Place the potatoes in a saucepan of salted water. Bring to the boil and cook for 20 minutes or until tender. Drain well (see tip), then add the butter, season with salt and pepper and mash together. Cook the cabbage in boiling salted water for 5–6 minutes or until tender. Drain and refresh in cold water. Drain again and use your hands to squeeze out any excess water. Add the cooked cabbage and mashed potato to a large bowl. Add the cheese and mustard to the bowl and mix well. Shape, using your hands, into eight even-sized cakes. Tip the flour on to a plate and dip each potato cake into the flour to coat both sides, tapping off any excess. Heat the oil in a frying pan and fry the potato cakes over a high heat for 2–3 minutes on each side, until golden and piping hot. Serve each one topped with a fried egg, if you like, for a light supper. Mary’s foolproof tip Make sure the potatoes and cabbage are really well drained of excess water, as wet potato cakes will cause lots of spitting in the hot frying pan.